Left: Varty Manouelian; right: Steven Vanhauwaert. The third of this season’s “Second Sundays at Two” recitals brought together a newcomer to and a veteran of the series in a program that might have been short on playing-time at barely 40 minutes (including the encore), but scored strikingly high in terms of sheer polish and insight. RHUMC first-timer, violinist Varty Manouelian, and pianist Steven Vanhauwaert—who has appeared at least a half-dozen times there and will be giving the very next recital as soloist in January—treated us to gems of middle-ish Mozart and latish Brahms. Listening to the first movement of Mozart’s 1778 Sonata for Pianoforte and Violin No. 18 in G major K. 301 (the original title listing the instruments in that order), I was struck—and far from the first time—by the conviction that sonata design really is one of the greatest of all human artistic creations. Paradoxically, it cannot itself be said to have been “designed” at all, but rather evolved from before 1750 on through the next two-and-a-half centuries in ways that are still being explored, in the process informing much of Western civilization’s finest music. Kraft, based on images from his lifetime. The first movements of Mozart’s sonata and that of Brahms’ Sonata No. 2 in A major for Pianoforte and Violin Op. 100 (yes, that order again), composed 108 years later, together illustrate the flexibility and resourcefulness of this marvelous structural template. 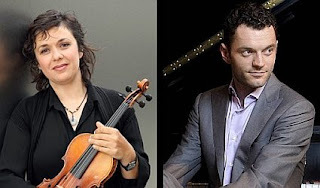 Both are, overall, amiable and uncombative in tone: the Mozart begins determinedly forward-moving and aspirational, the Brahms more contemplatively, and they proceed harmonically and melodically quite different from each other. But in both movements it is their sonata structure, with its juxtaposition and development of first and second subject groups of different themes in tandem with nudges of harmonic resourcefulness and changes of key, that enables their expressive progress to unfold, and gives them depth, breadth, variety, and contrast. And these are just two out of countless thousands of examples across the history of “classical music” where sonata design has enabled composers to give voice to their deepest thoughts and experience. To my ears, the performances of both works by Ms. Manouelian and Mr. Vanhauwaert were beyond criticism, their awareness of and responsiveness to each other’s handling of their respective parts unfailingly acute, and perfectly in service to the way Mozart and Brahms treat the two instruments very much as equal partners. In the Mozart they observed the long and complex exposition repeat in the first movement, vital to allowing listeners to get a firm handle on the array of themes to be developed and then recapitulated in the remainder of the movement. And though this sonata has only two movements, with pretty similar initial Allegro con spirito and Allegro markings, the performers’ lilting pace for the finale’s opening 3/8 rondo theme underlined its marked contrast to the first movement, with its sprightly 4/4 first subject, and thus avoided any sense of a slow movement being missing. where he composed his Second Violin Sonata. 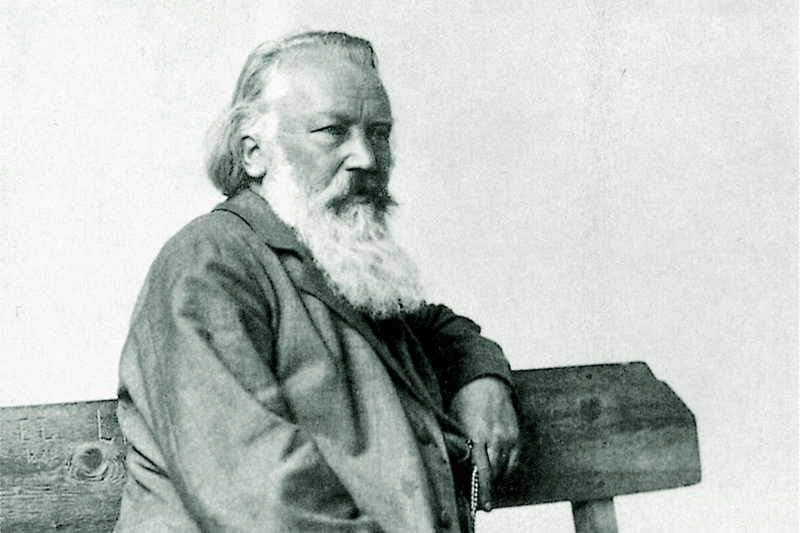 If anything, their account of the Brahms was even finer, with plenty of rubato before the second subject in the first movement enabling an emphasis on the music’s increased drama here, without compromising the movement’s overall lyrical and beneficent mood. This sonata does have a slow movement, centrally placed, and the players contrived to conjure not only a raptly ruminative mood in its opening Andante tranquillo section but also ideally spontaneous-seeming transitions to the Vivace that follows and then back to the more sober and reflective Andante with which it concludes. Though during the finale Brahms makes no major modifications to the Allegro grazioso (quasi Andante) marking with which he heads it, Ms. Manouelian and Mr. Vanhauwaert introduced a certain expressive hesitancy to its opening measures, giving the feel of a slow(ish) introduction to a much more propulsive motion for the remainder of the movement. The fact that it could be convincingly done thus differently from some other performances simply paid tribute to Brahms’ multi-faceted genius and the interpretative insights of these players. For encore, they chose a much earlier fragment of Brahms — the brief but punchy third-movement Scherzo that he contributed to the portmanteau “F-A-E Sonata” conceived in 1853 by Schumann as a tribute to the violinist Joseph Joachim, with its Intermezzo second movement and finale both by Schumann himself, and large-scale (sonata form) first movement by Albert Dietrich; not for the first time I wished that some day we could have a live performance of the whole sonata. The audience enthusiastically applauded this little fire-cracker of a movement, as they had the major works that preceded it. Rolling Hills United Methodist Church, Sunday, November 11 2018, 2.00 p.m. 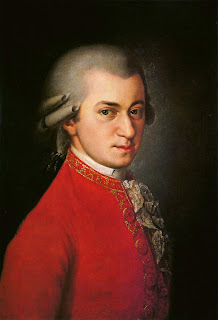 Images: The performers: Courtesy RHUMC; Mozart: Wikimedia Commons; Brahms: Courtesy Styriarte.